beauteespace / News / Hair with a bang! Once again, India proves its rising talent on the global stage. 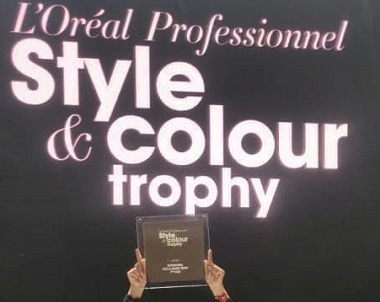 Bengaluru-based hair artist Biak Lun of Play Salon wins the 1st Runner Up title at L’Oreal Professionnel Style & Color Trophy in Paris. Having proved her mettle in the field of hairdressing, Biak is also the Colour Trophy winner at Indian Hairdressing Awards 2018. L’Oréal Professionnel Style & Color Trophy Awards – the world’s longest-running live hairdressing competition – culminated in a showcase of glitz, glamour and cutting-edge hairstyles. Winners are crowned in the categories of Style & Colour Trophy Award, Young Talent Award, and Men’s Category Award.